Spruce up your tree with this deal from Tiny Prints! Right now they are offering buy one get one all ornaments when you use code 1128DEAL at checkout. 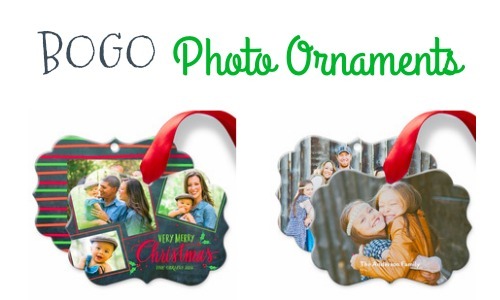 These ornaments can be personalized with photos and there are lots to choose from. This offer is valid today, 11/28, only. Shipping is FREE with orders of $49 or more when you use code FREESHIP49.